We got lots of positive feedback for the new “Starter Kit: Weather Station”. Many thanks for that! But there were also a few improvement suggestions, mostly for the construction documentation. Based on your suggestions we changed it to a list style and added schematic images. We hope that the construction of the weather station is now easier. Additionally we published a fun application for the push button extension. It lets you play a guitar on the weather station. Maybe you have developed similar applications. We look forward for your applications or other improvement suggestions! A plethora of information regarding the new Starter Kit: Weather Station is available in the documentation. We arranged a promotional discount in the tune of 30€. It is valid until May 1st! Points of criticism for the old Starter Kit were the missing description of applications, assembly instructions and documentation. We want to counteract these points with a whole series of Starter Kits. The new Starter Kits will always have a specific application as well as instructions for assembly and for the usage of all of our supported programming languages. The Idea is, that you can finish a whole project with the software and hardware as it is provided by the kit. It will however always be possible to add a whole range of modifications, extensions and improvements, so that the fun of tinkering doesn’t come short. The old Starter Kit will be available in the shop for a while, but it will be completely replaced by the new Starter Kit series in the long run. Since we were often asked why the Mounting Kits don’t include more screws, nuts, washers or spacers, we now introduce new Mountig Kits. There are only 2 variants available now: 12mm Mountig Kit und 9mm Mountik Kit. 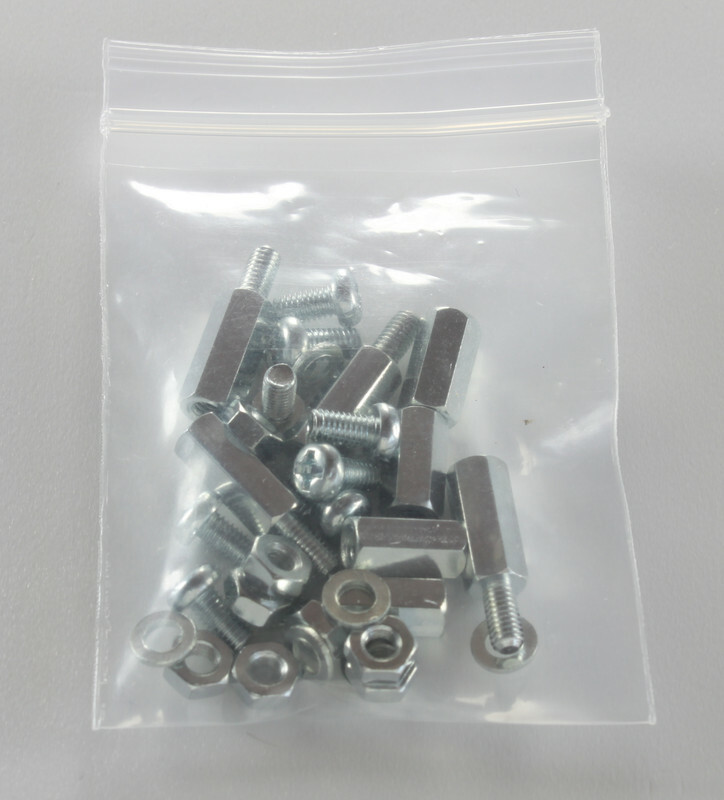 Additionally there are now also longer screws (12mm long) available. With these it is possible to mount Bricks to cases with big walls. The new 12mm Mounting Kit replaces the old 12mm Brick Mounting Kit and the old Bricklet Mounting Kit. Whereas the new 9mm Mountig Kit replaces the old 9mm Brick Mounting Kit. 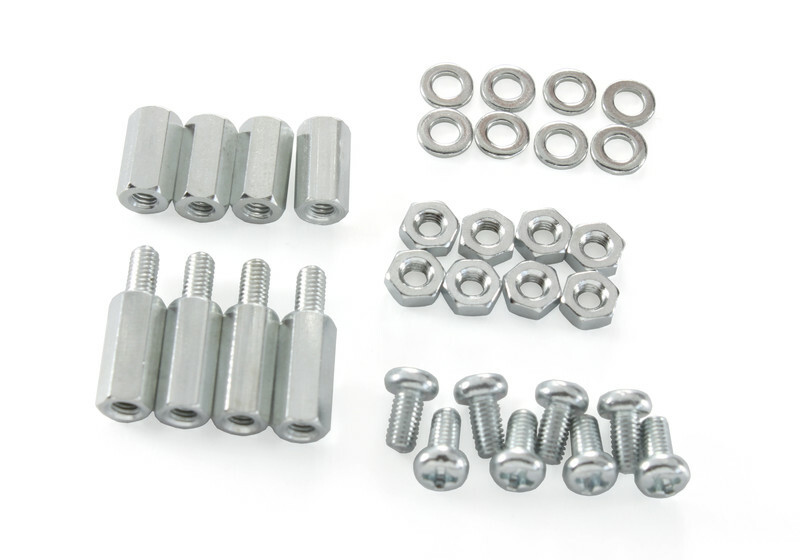 The new Mounting Kits have additionally 4 spacers 10mm, 4 screws, 8 nuts and 8 washers. Or differently said: A new 12mm Mounting Kit is an old 12mm Brick Mounting Kit + an old Bricklet Mounting Kit + 4 screws + 4 nuts + 8 washers. from the top of a case with a gap, etc. Additionally the new Mounting Kits come in resealable bags, so it is possible to easily preserve leftover parts. Edit: For bargain hunters the old Mounting Kits are now available for half the price until they are sold out! It should not happen that a product is out of stock. In case of the Stepper Brick it unfortunately happend because of a big bulk order. Of course we immediately ordered all of the necessary parts and arranged a production date with our supplier. We ordered the PCBs from a new supplier with a lead time of three weeks. 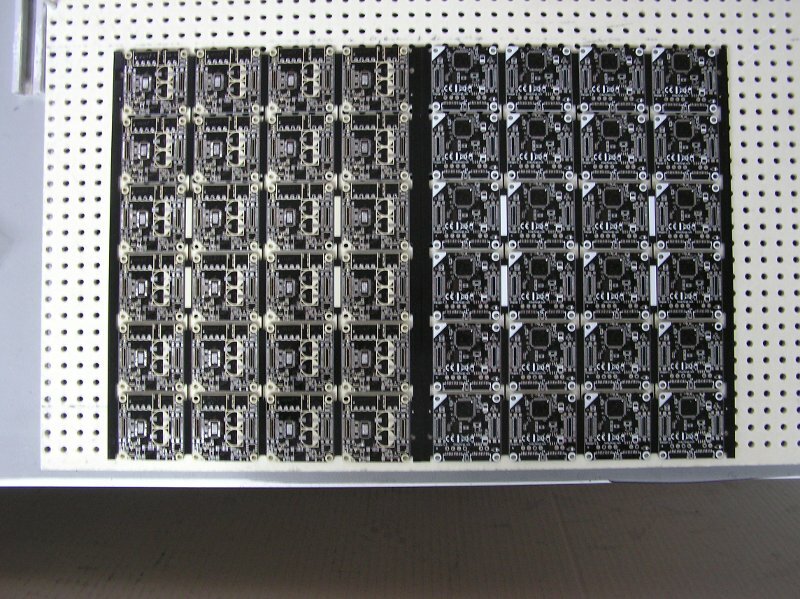 The manufacturer did not have experience with the black solder resist that we use on our PCBs, but they assured us that the production would be no problem. 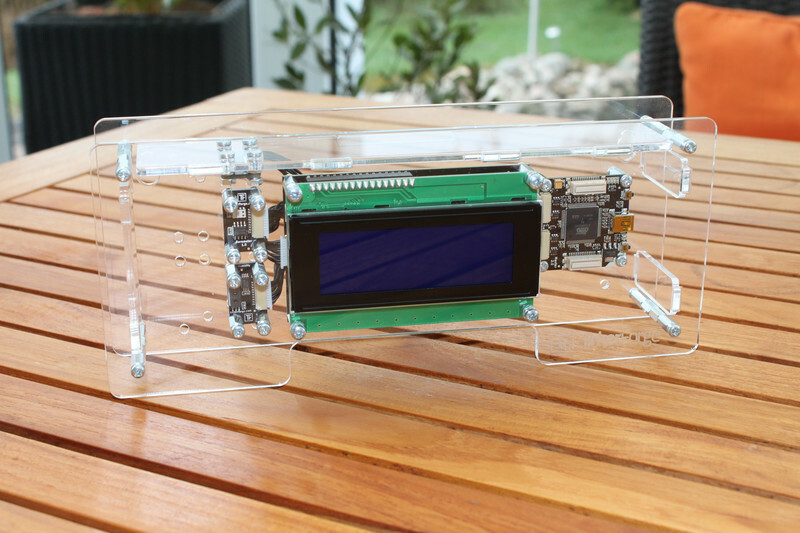 After many phone calls and clarification of many details the PCBs were put in production. At the day of delivery we got a call that our PCBs were shipped but that there is a problem with the silkscreen. It was yellow on the bottom side of the panel. We inspected the panels and it turned out that the silkscreen got brown after a pass through the reflow process. Besides this “optical” problem there was a problem with the surface of the bottom side. The pads are not flat enough, such that we would have to expect lots of soldering problems after the reflow process. A rework afterwards by hand was not up for debate. It would not be feasible with the expected problem occurrence. All in all this means that we can not use the panels. We ordered new PCBs from another supplier that has experience with the production of black PCBs, so we can be confident that these will work. We have to apologize for the long waiting times for the Stepper Bricks. The new Stepper Bricks can be shipped around mid May. Of course we will do our best to ship them earlier.